wow!!! I love all the pieces to your project!!! awesome! Oh my goodness! I can't believe that mug is paper! love it! Your project is AWESOME Helen!!! Love that adorable mug and your card is sweet as can be! Great projects and love how you used the twine!!! Happy to be a sponsor in this hop. Your gift set is so cute! Love it!! This set is so darling! I love the stamps you added to your spoon! Love the mug and card set super cute. Great design and colors. Thanks for the fun hop. So cute the cup and spoon I'll need to scraplift. TFS. Finally some Cherry Latte twine! ;) I love how bright it is!!! :) CUTE card, spoon, & mug!!! OMG!! I love the coffee bean stamp..TOTALLY cute!! As for the coffee cup shaped card.....AWESOME!!! Love the stamping and twine on the spoon. Great project. 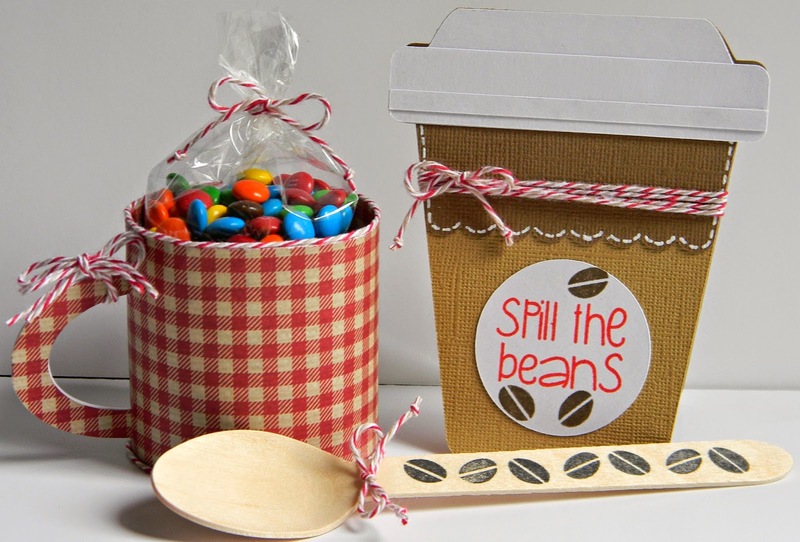 Awesome project, I just love the coffee cup and shaped card with the wooden spoon! Your sentiment and coffee bean stamps are adorable and I love the way you stamped the coffee beans on the wooden spoon! All of your awesome projects have me thinking about the Explore. Happy Sunday my friend! What awesome projects!! I love the coffee beans on the wooden spoon!! How creative and fabulous!! The cup shaped card is beautiful!! Super cute set! The shaped card is awesome and love the adorable coffee mug! The twine around the edges is so clever-great job! What an amazing set! I was thinking about a mug for end of the year gifts, but never thought about this cart. Thanks! Love these twine colors...would love to have some. Need the stamps too! Great projects!! Love your mug! This is so cute. I would love to get this as a party favor. This is adorable !!! Great projects !! 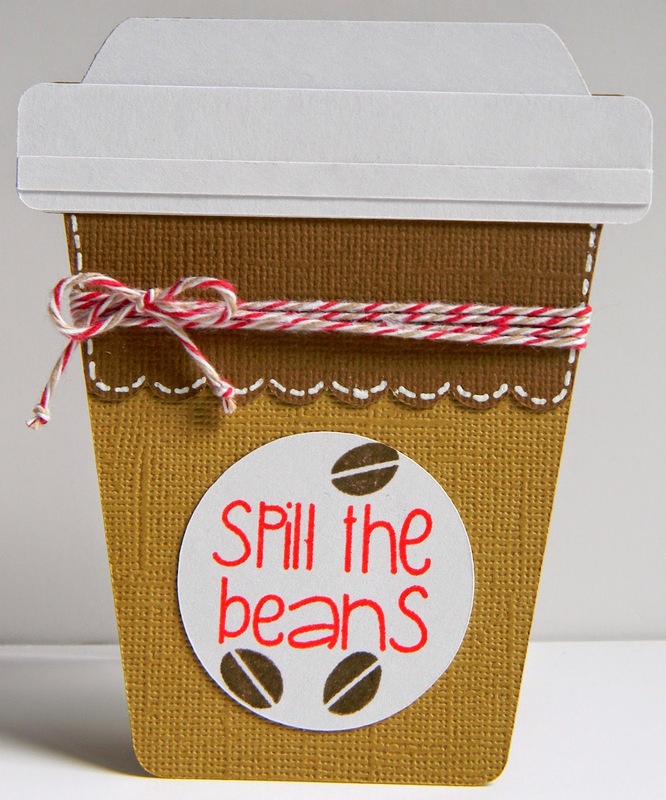 I love the stitching on the spill the beans card! So cute. Love the stamping on the spoon. Fun shaped card and love the treat idea. 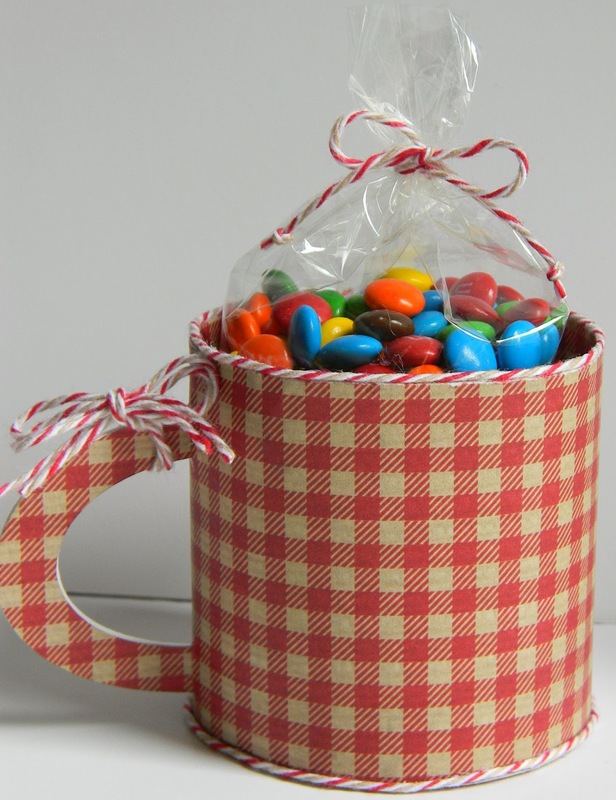 This is adorable with the gingham mug and the coffee bean stamped spoon.